My first RC transmitter & receiver. In 1961 RC was not unknown but the commercial stuff was completely beyond the pocket of a school boy. Like many things at the time the cheap solution was a kit that you built yourself. 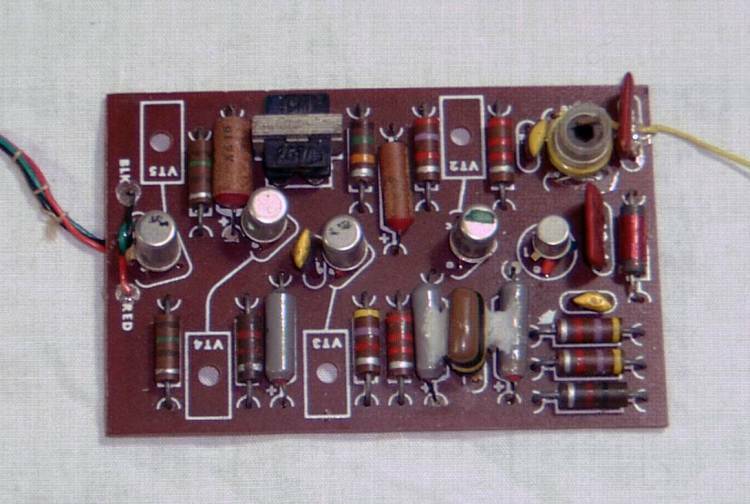 The kit included a circuit board and loose components that you had solder on. It had 5 transistors and needed a 3V supply. 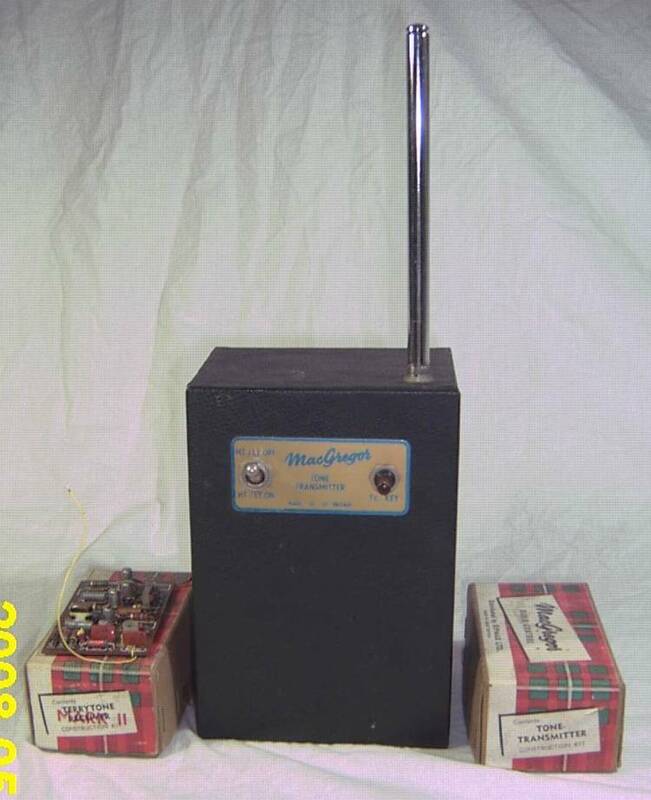 The receiver was even more basic and used a single 'tube'. You had to build the case yourself. Note the huge battery compartment to house the 90V HT and the 1.5V heater batteries. Nominally 25 meg but with no crystals it was just a case of tuning the Rx to the Tx give the maximum range. The actual frequency was anybodies guess! I built a simple all balsa glider that used a rubber driven escapement - one press left, a double press for right. It had a 3V drycell in the nose for power and ballast. 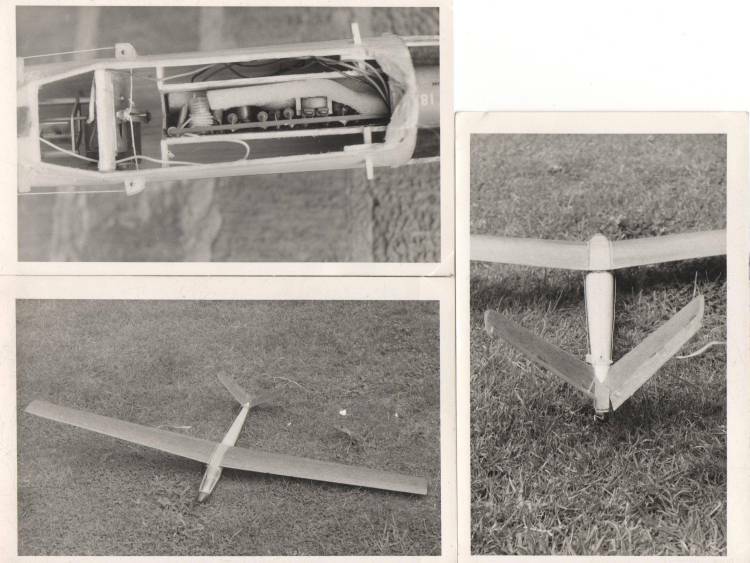 It more or less flew but the rudder effect from the V tail was negligible so calling it radio 'controlled' was a bit of a stretch. In those days the only thing that was guaranteed was failure, any success was pure luck! In the early 60's I was interested in RC but couldn't even afford a kit. I did find a schematic in an electronics magazine and tried to build one from scratch. It didn't work, maybe because everything was wired instead on a pc board. Your post brings back memories. 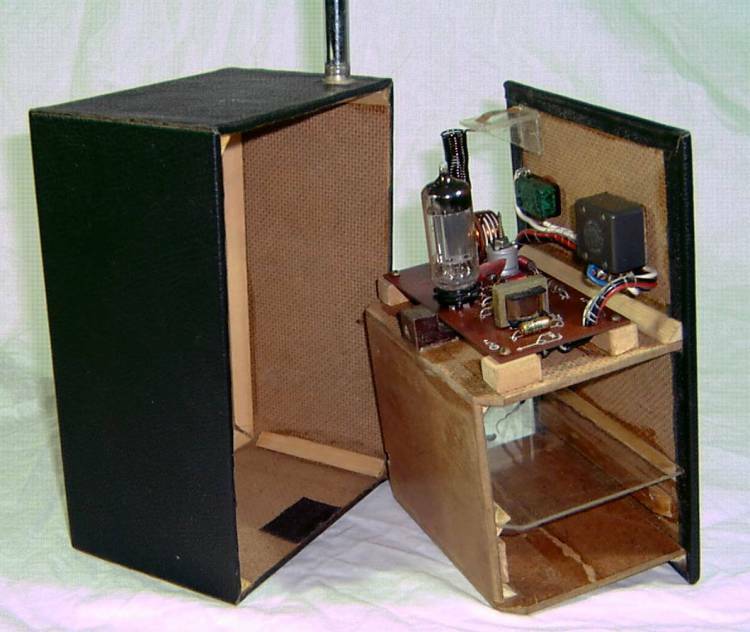 I built a single tube receiver "back in the day", around 1960 if I remember correctly, and it did work............ sort of. I spent hours and hours walking away from the transmitter and tuning up the receiver in hopes of getting a good signal at reasonable range. Flying involved a huge free flight aircraft with rudder only, escapement controlled with power to actuate the rudder via a long wind up rubber band inside the fuselage and the result was best described as "Free Flight with Occasional Radio Control". Things have changed, that's for sure.